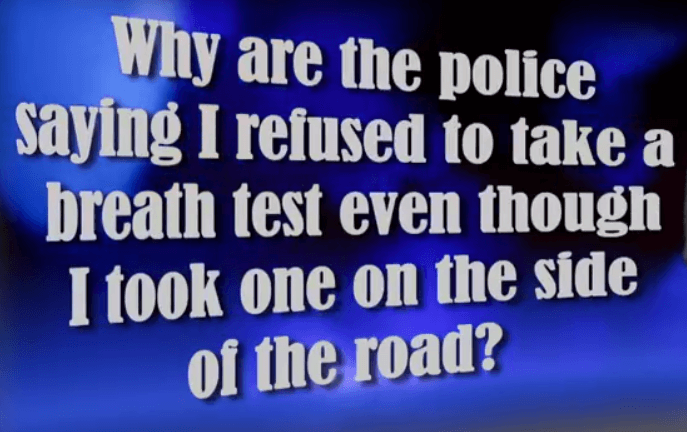 One basic rule (under the 4th Amendment to the US Constitution) is that everything said by you and all roadside “tests” requested by police from you PRIOR TO BEING ARRESTED are voluntary, optional and can be used against you in Court. Other than your NAME and ADDRESS, which are usually correct on your driver’s license, NO OTHER words or acts—prior to arrest— should be uttered. Any and all field sobriety tests, including the HGN test (DUI eye test), the Walk and Turn test, and the One Leg Stand test are NOT required to be attempted. Plus, the portable breath test at the highway is OPTIONAL, and no penalty exists for politely declining it. Your highest risk of losing the right to seek a restricted license (limited permit) under the Georgia implied consent law is when you have a DUI refusal. 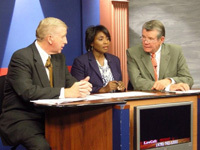 Driving while impaired by drugs or alcohol starts the legal ball “rolling” and the end result can be either total driver’s license suspension or privileges being severely restricted by permits offered through Georgia DDS, under GA DUI laws. Under Georgia DUI laws, the arrested driver’s failure to agree and to take a post-arrest breath alcohol test under GA implied consent law starts a legal procedure that threatens his or her ability to drive in Georgia (and possibly elsewhere) for a full year (12 full months). This is true for a driving under the influence GA DUI case, whether for a first DUI offense, 2nd DUI in GA or for any other repeat offender. Because Georgia laws call for two different suspensions (criminal or administrative) in all drunk driving cases, you MUST know your legal rights when confronted by a police officer or trooper. To avoid the most harmful DUI penalties in Georgia, the author advises anyone with a DUI charge in GA (and not involving serious injury or deaths a result of an accident) to TAKE the State alcohol breath test on the Intoxilyzer 9000. Those who DO SUBMIT should exercise their legal right under Georgia law to get their own tests. You should always follow-up and get an independent blood test and possibly an independent breath alcohol test. This step to demand your independent test legal testing offers the police officer more opportunities to inadvertently deny your legal rights. Any error by the police officer (e.g., not helping you get money from an ATM to pay, not letting you call someone to bring money for the independent test) helps preserve your lawful challenges to his or her compliance with the very protective implied consent law in Georgia. At risk here is the possible total loss of all driving privileges. To fully comprehend the 2017 changes in Georgia DUI laws, read each of the author’s 7-Steps to Saving your Driver’s License. Georgia driver’s license reinstatement, after DUI charges in GA are made, is available to first DUI offense drivers licensed in GA who are age 21 or over. This is true unless the person loses the administrative license suspension hearing for “refusal” to blow into the breathalyzer AFTER your arrest for a DUI in GA. This is where the implied consent law in GA calls for a total driver license suspension, for a DUI refusal to submit. 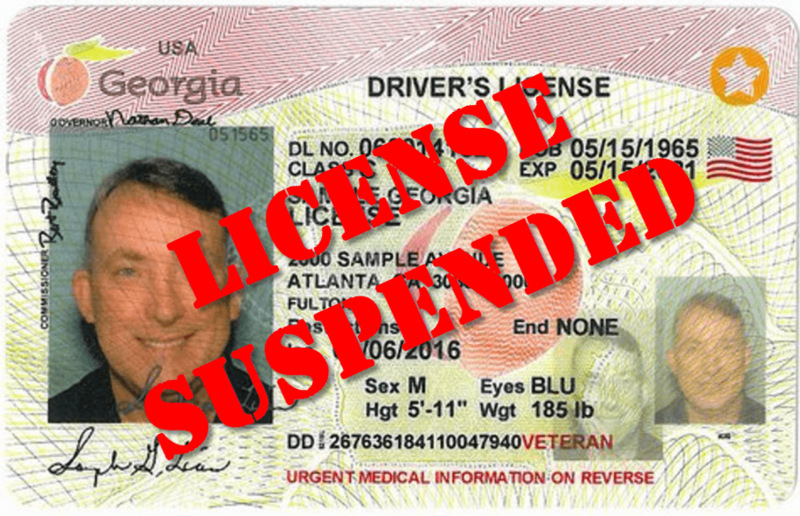 Additionally, an administrative DUI per se suspension, after a 1st DUI in Georgia, offers the quickest path (after 30 days of driving on a limited driving permit Georgia) to obtain a full Georgia license reinstatement under implied consent Georgia laws. Remember, this type of suspension is administrative and not criminal since the DUI criminal case is not yet resolved. DUI Georgia first offense options, insofar as avoiding jail time and being able to obtain a work permit are far superior to options for drivers facing a second offense DUI in the last 10 years. 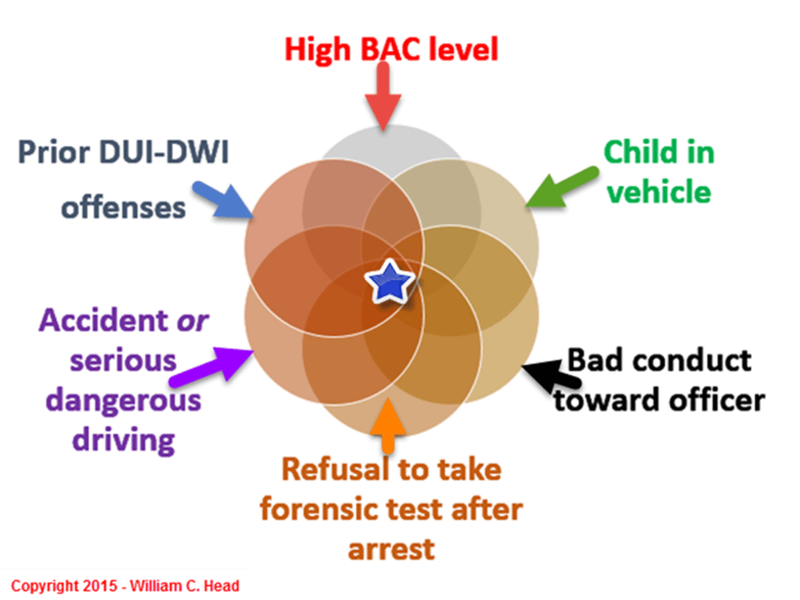 A person with the misfortune of incurring a 2nd DUI in GA or 3rd DUI in GA, especially within the last five years, have fewer and much tougher license reinstatement GA options. Plus, drivers with a DUI second offense are far less likely of getting a DUI reduced to reckless driving in Georgia. 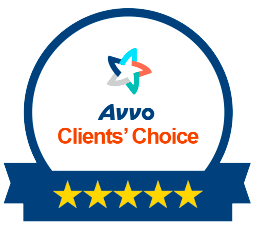 Repeat offenders undoubtedly have the greatest need for hiring the best DUI lawyer in Atlanta, but often don’t have the funds or family financial support to hire the best DUI lawyer. 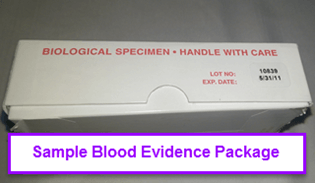 A recent United States Supreme Court case, Birchfield v. North Dakota, has ruled that a blood test can only be requested from a driver suspected to be above the legal alcohol limit in GA. Unless drugs are ALSO part of the reasonable suspicion (often obtained by police in Georgia DUI arrests, when he or she ASKS the detained driver if they have taken any type of drugs), then a breathalyzer test for your alcohol level is all that the officer may request for you to take. Your refusal to submit authorizes the officer, in most situations, to call a magistrate judge and give information about the necessity for a judicial search warrant. Regardless of the type of implied consent test requested by police, you should SUBMIT and then DEMAND your independent tests. Let your DUI attorney handle legal challenges if the police officer obtained the wrong type of test, in contravention of the Birchfield case. Protect our right to a restricted license by taking the implied consent Georgia test. Georgia implied consent law is very protective of the right of a person arrested for DUI in Georgia to ask for and obtain help in getting an independent test OR tests by a provider (e.g, hospital, doctor, med clinic, registered nurse) of their own choosing, and at the driver’s own expense. This right to additional testing is only available for those drivers who first submit to the GA implied consent law testing demanded by the police officer. Then, if you tell him or her you want to get your independent test that is allowed by Georgia implied consent, you must be reasonably accommodated by the law enforcement officer. This has been held to mean allowing you to be taken to an ATM for cash or calling a friend or relative to bring cash for your independent tests. 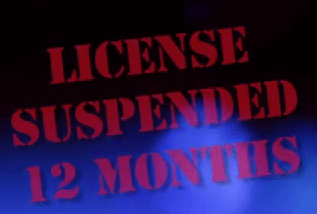 The time period to ACT is 30 days, to avoid a potential ONE YEAR license administrative license suspension (ALS). To get help choosing which alternative, either ignition interlock device limited permit (IIDLP) OR to file a traditional ALS appeal, you can call our DUI law firm today and speak with an Atlanta DUI lawyer about these options and see if you are eligible for the IIDLP. Don’t make a costly mistake, and miss your thirty-day deadline or select the WRONG option. 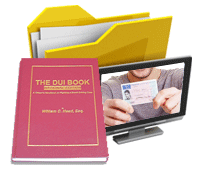 Let our DUI specialists assist you in deciding what to do about filing this critical DDS GA appeal. 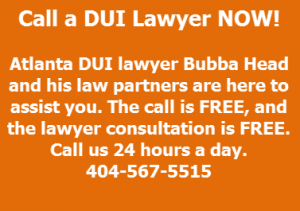 Call for a FREE lawyer consultation and get (for FREE) a PDF copy of Bubba Head’s 430-page drunk driving book, specially written for clients. 404-567-5515. 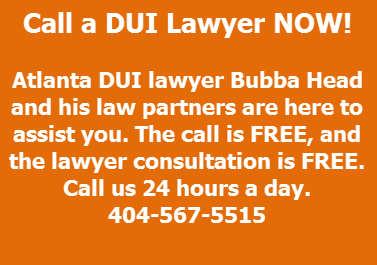 Talk to DUI attorneys Atlanta Bubba Head, Larry Kohn, or Cory Yager now. The drunk driving lawyers at our law office are available 24 hours a day, plus on weekends, and even during all major holidays. 404-567-5515. If you want to try to estimate your BAC levels at the time of arrest, check out this BAC Calculator chart. Not all DUI attorneys are capable of obtaining the best outcome after your Georgia DUI arrest. 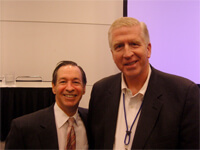 You need to have a true DUI specialist handling your case. Our Georgia DUI lawyers are all book authors, which is unique in this state and in the nation. Being invited authors for a national legal publisher is both an honor and a very HIGH recommendation of successful driving under the influence attorneys.